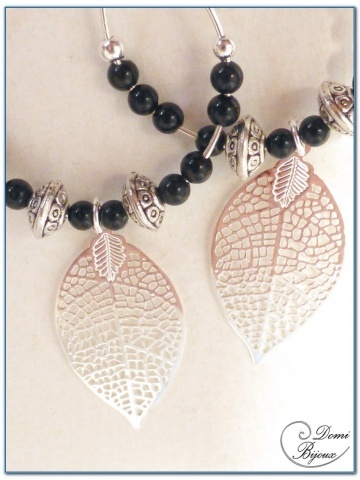 This fashion creole earrings silver finish are made from small onyx pearls, silver finish pearls and filigree leaves. All this elements are mounted on a creole frame silver finish. Two hooks complete this assembly. 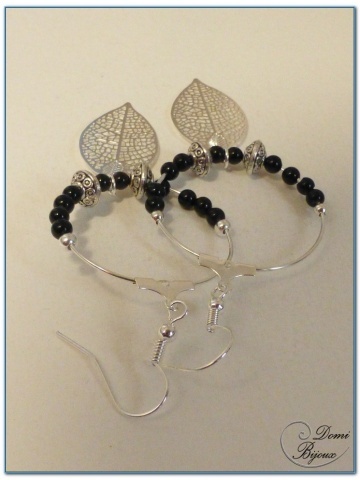 The length of this earrings, including clasps is 8 cm. 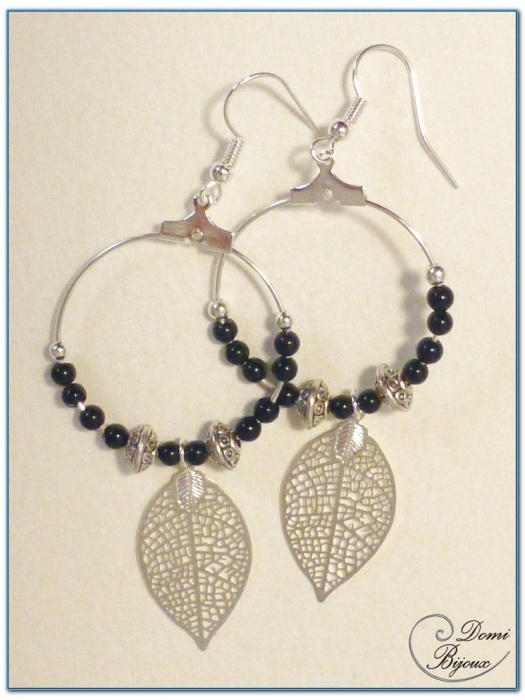 This earrings will be delivered in a cloth pouch to store them carrefully when you don't wear.